Join curator Steven Wolf and artist Megan Reed for a walkthrough of Tiny Bubbles on view in the SFAC main gallery through August 19. Inspired by legendary Bay Area painter Roy De Forest, the exhibition features work by local and national artists who produce dark and often funny narratives set in imaginary worlds. 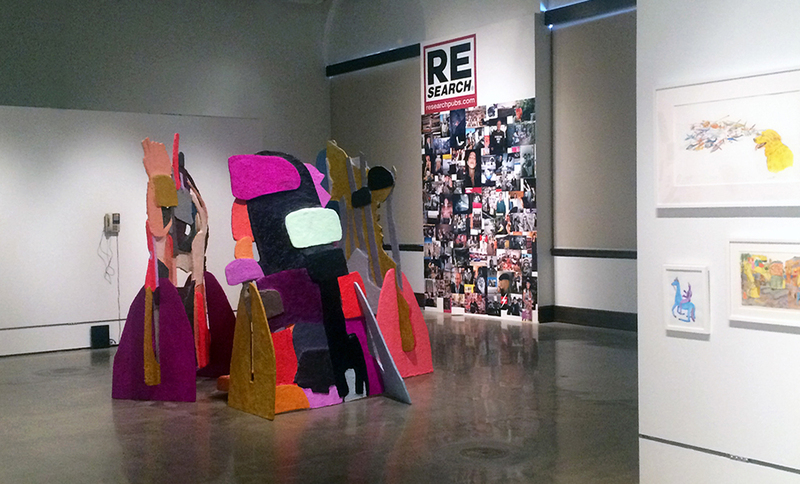 Megan Reed joins Wolf to talk about her large scale, colorful sculptures on view in the exhibition. Reed has an MFA from California College of the Arts, and her work has appeared twice in New American Paintings. She is a founding member of CTRL+SHFT Collective in West Oakland.